I know of so many wonderful childcare and preschool programs that are just waiting for the perfect families to find them. Some of them struggle to find clients despite the high quality and super affordable prices. They are diamonds in the rough, and I know that if they had the right tools, they would be constantly getting calls and inquiries. Where I live, in home providers were shutting down left and right. My area is somewhat saturated with child care options and this can make it tricky to have a thriving, growing business. When I opened my in home child care program, which I later turned into just a preschool, I had no clue that several in home providers had shut down around me due to lack of enrollment. In fact, I was full within three months of opening and operating off a waiting list. I’ve been open almost four years now, and that waiting list has only multiplied. This year was the first year that I didn’t even enroll any new students because all the slots that did come open, my current clients gobbled up. So what is my secret to keeping a full program? With nearly 10 years of experience working in child care and preschool centers, both profit and nonprofit, I’ve learned a lot about the market of early education. 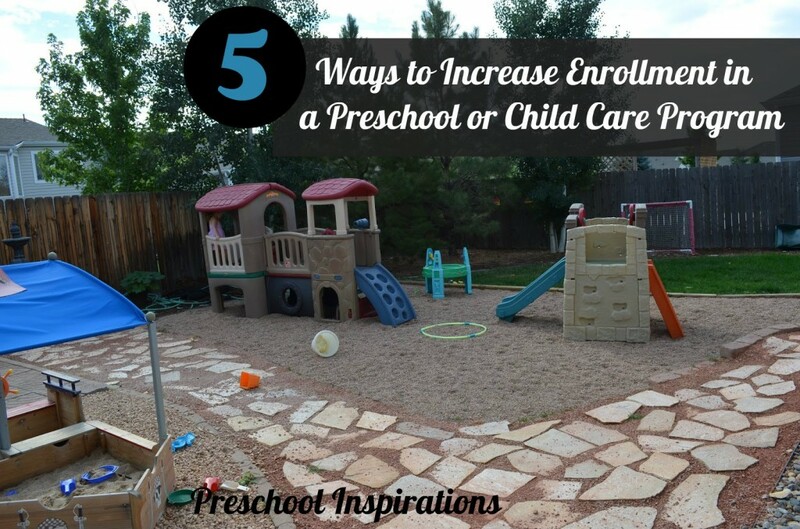 Here are five of the most important factors in growing a child care or preschool program. I asked my facebook friends to chime in about what was most important in a preschool program. The results were unanimous! When it could have been a stellar curriculum, state-of-the-art equipment, or exciting field trips, every person agreed that the most important part of a child care program was responsive and caring teachers. I must admit that I completely agree. You can always improve a building as the budget grows, or add more enrichment programs, or invest in/create a fantastic curriculum, but you need quality teachers and caregivers each and every day. When parents know that their child is well-cared for and treated with love and respect, it’s hard to top anything else. This is by far the best way to have a solid foundation for your program. Today’s parents want to know about a program before they step foot into it. Parents like to hear of other families who adore it so “word of mouth” is and always will be a huge source of new families. Equally as important is showing potential families who you are and what you are about. My preschool website is and always has been my biggest and best source of good leads that bring in clients who are a great match for my program and teaching philosophy. I’m not talking about a free website though. Those only help if people have already heard of you. When people are looking for a great program, they usually go to Google or Bing and let the search engines show them what they are looking for. In order to be seen by those search engines, you need to get a host and domain name. Here is who I do my hosting through. Professional websites can be made without spending thousands of dollars when you make them yourself. Here are some very professional templates, which will help you stand out amongst the many others. As I mentioned earlier, my enrollment has been full almost since I opened my in-home program almost four years ago. However, my waiting list tripled once I changed my program. When I opened my in-home program, my son was an infant, and I took infants, toddlers, and preschoolers. Once my son turned two years old, I made my program preschool only. It was more for me so that I could focus more on a curriculum for those ages instead of balancing the needs of mixed age groups. That’s when the fireworks started, and I realized that while I focused on my expertise, I had more interest than ever before. It can be so tempting to try and do what everyone else is doing. However, it’s important to stand apart by focusing on what you do well. I know of programs that have made huge changes that seemed risky because it wasn’t the norm and have hugely paid off. Some have decided to only take school age children, others are just for part time care or a mom’s morning out, and there are even very successful drop-in programs. Now I can’t guarantee that making a change such as this will automatically equal more business, but I can tell you that it could be what is stifling your program. When I worked at a center as a program administrator, it was part of my job description to help increase our enrollment, and I was pretty good at it. One center that I was the Assistant Director at had six classrooms and four of them were preschool aged. We were at about 70% of our capacity. One day while talking to the VP of our corporation, I mentioned that if we turned one of the preschool rooms into a toddler room, I thought it would increase our enrollment. I knew that we received lots of calls for that age group, and there were several children on the wait list for those ages. She decided to go along with my idea, and we re-licensed one of our preschool rooms as a toddler room. The decision paid off, and that toddler room filled up in record speed. Then that led to higher preschool enrollment as they moved out of the toddler room into the preschool room. It wasn’t a simple process because we had to have licensing come out, and that involved extra costs and some preparation and work. However, sometimes a program has to change or invest in a change to meet the growing needs of the community. In our case it paid off big time as our enrollment jumped at that point and continued to grow. When a parent signs up for your program, that is just the beginning. A relationship will be developing over time, and it is important to cultivate that. Part of growing enrollment is keeping it from turning over constantly. Communicating with my clients regularly not only builds a relationship, but it also helps me gauge changes that I may need to make to better my program. While I have the luxury of talking to each of them personally each day, I know that not every program can do this. Pick-ups and drop-offs aren’t always the best time to communicate to parents, especially if several families come at once. Another form of communication that I use is daily reports. I love giving families a report of what we did and how much lunch their child ate. My daily reports include the child’s favorite activities, what and how much he ate, and how long she napped for. I used to use paper reports, but there are much more efficient ways to communicate with parents nowadays. There are some incredible apps to use that are free and make it so easy! I have made a list of parent-teacher communication apps that allow you to message parents, send photos to them, give them all the important details of their day, and get information from them quickly and easily. Facebook or a blog could be another great supplemental tool to communicate with parents if you are able to update them regularly. 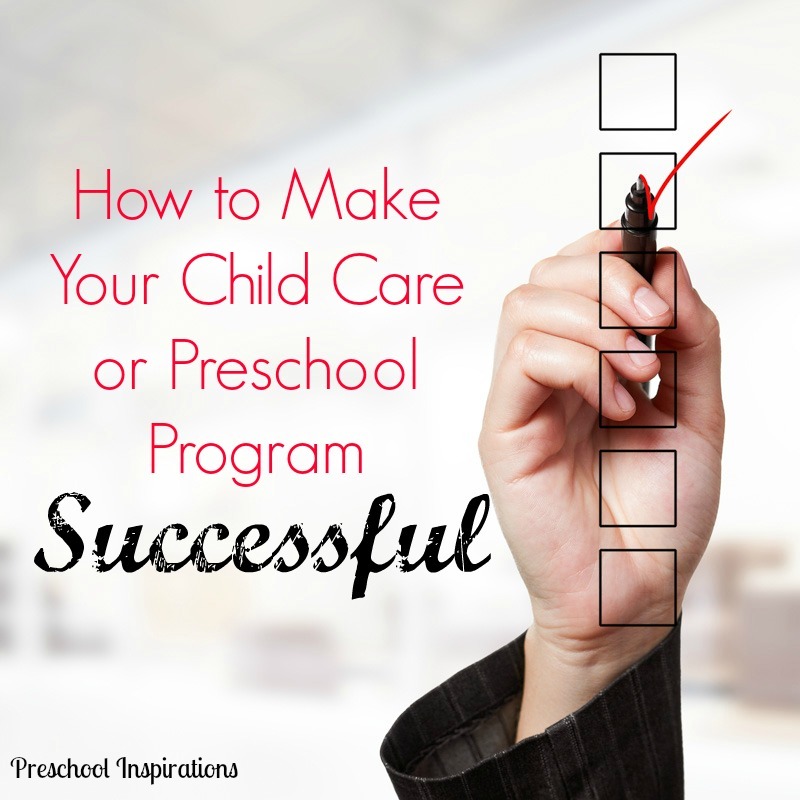 Overall, growing a preschool or child care program takes lots of work and effort. In an industry with lots of competition and options, you really have to stand out over the crowd. If you want more tips, I highly recommend checking out child care marketing solutions and grabbing the free e-book. I can definitely use some help with increasing enrollment! This is certainly a good time of year for it! If my consulting services, can be of any help to you, feel free to message me through the Contact Me section :).
. don’t know where lacking .. Thanks I hope the information you’ve given will be helpful. Good luck to you! I hope so as well :). It takes time too :). I bet a year from now you’ll see a vast improvement if you are high quality. Listen to your clients. Listen to your teachers. Listen to your community. I could really use some help with retaining customers, increasing enrollment, finding quality teachers and a hardworking Director. What were your hours when you were just preschool? I had preschool from 8-12 and extended preschool until 3:30 pm. How many preschoolers could you take? We’re you able to stay full with those hours? I was licensed for six children, and yes, I was always full with a waiting list. Very helpful information. I am working on increasing numbers. Thank you or the information! we have a pre school for 6 years. My aim is to provide excellent service: I make sure to report all to parents daily as much as possible… our program is fun and the kids enjoy it. My big question is how to increase enrollments? We have all facilities and modern amenities.